The suburbs surrounding San Jose, CA blur seamlessly together, with their cookie-cutter high-tech office parks, nondescript apartments, condos and generic single-family homes. The streets and avenues look pretty much the same, too. You don’t really know when you’ve left one town and entered another. Milpitas, just north of San Jose, qualifies on all those counts. It’s squeezed in between I-880 and I-680 — in one of the country’s most congested areas — yet that’s about it for personality. But head due east of town and within literally minutes you are traversing little country roads that snake up through the foothills of the Diablo Range (which separates the Bay Area from the massive San Joaquin Valley). 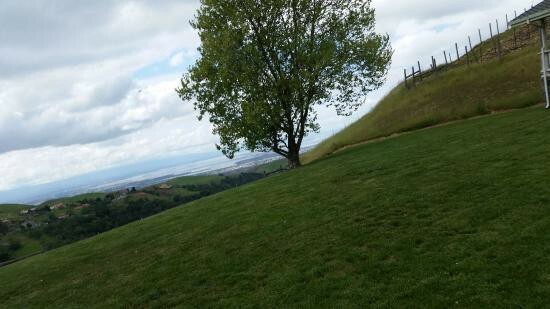 After a few miles and a climb up to about 1,200 feet, you are a world away from the Bay Area. Amid rolling hills and ranches with grazing cattle, llamas and horses, you will discover Big Dog Vineyards. 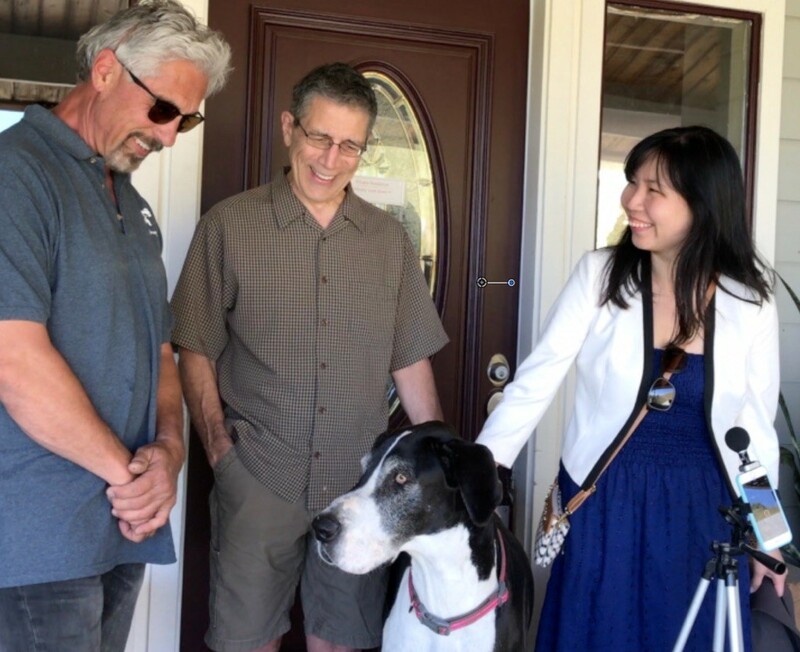 Greeting all new visitors, not surprisingly, is the establishment’s mascot, Daisy, who happens to be calmest, coolest and most cordial Great Dane you’re likely to meet. Inside the winery’s tasting room, the place is bustling. But owner Mark Campagnolan possesses the same cool, calm demeanor as Daisy (or maybe it’s vice versa), as he takes time out of his busy schedule to show us around the place and fill us in on the winery’s history. The family-owned, boutique winery opened in 2009, 12 years after they had planted their first vines. With about 5 acres in Cabernet Sauvignon and Cab Franc, they bottle and sell everything they produce. “We originally thought we would plant 5 and see how it goes. And then we had an opportunity to plant another 10 or 15. And after planting 5, it was so much work (and a lot of fun) we thought, ‘nah, we’re OK with 5,’” he says, with a chuckle. The soil and climate, he noted, are perfect for the Cabs that they grow. But, like most vineyards, these days, there is a vast cooperative of growers who work their land for what is most suitable and source from others for the grapes that grow better in different micro-climates. With a sister winery in the cooler Santa Cruz Mountains, Big Dog has an ample supply of grapes for Chardonnay, Pinot Noir, and Merlot. They also blend the best of the two mountain ranges with their brand-named Montage, a blend of the Merlot, Cab Franc and Cabernet Sauvignon. They are still experimenting with this blend, so each year is unique. We described to Mark our concept of pairing wine with music. He likes the idea, but has his own concept of pairing music: with a day. We’re pretty sure that energized music at the end of the day will also pair nicely with Big Dog’s estate-growned Cabs. Big Dog Vineyards was originally published in WineWednesday on Medium, where people are continuing the conversation by highlighting and responding to this story.